Website search engine optimization (SEO) isn’t often a topic covered in graphic design courses, but it’s every bit as important as the other components in your website building toolkit. That's why we are helping to cover some basic on page SEO techniques. It takes more than stunning visuals and an optimal user experience to build an effective website. Aside from coding, colors, fonts, and functions, you also need to ensure that your client’s website can easily be found by those searching for whatever your client offers. At some point during the construction process, your client is likely to ask, “When will my website be available on Google?” Everyone wants to know, and you should be able to answer with confidence. In short, Google’s bots crawl the web in search of new or updated information and reports it back to Google. The bots look at words, headings, ALT attributions, sitemaps, meta descriptions, title tags, and other elements to associate these things with your website. These results are processed by Google, then indexed if Google deems it quality content. And voila! People can find your web content via Google and other search engines. That's why Website search engine optimisation is important. Good website design begins with logical, organized site structure. People take notice when a site has a good structure (whether they consciously realize it or not), which means you can bet that search engines will notice, too. To establish your site structure, plan your website hierarchy before you begin construction. This helps you organize your pages and determine what links to what, which means search engines are better positioned to sift through your content and make their own connections. Use sitemapsto publish your site structure. Simply put, keywords are the words and phrases a user is most likely to type into search engines. 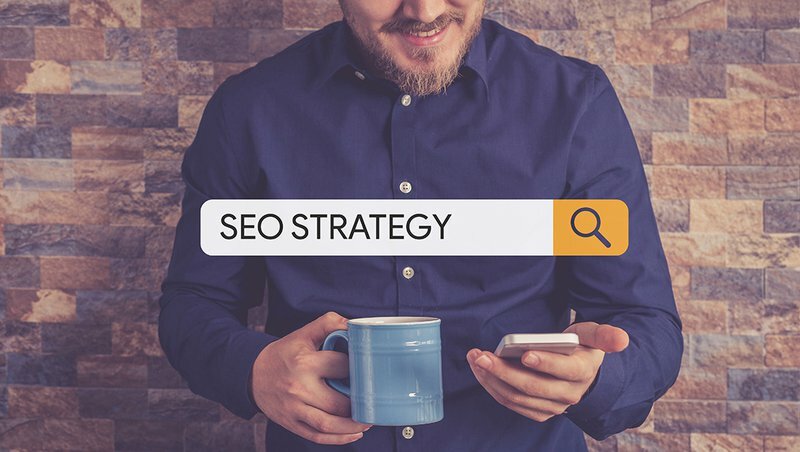 Once you determine what your target audience is likely to search for that pertains to your website’s purpose, you can inject those keywords and key phrases into the website content, which helps the search engine bridge the connection. Keywords that are in headings and titles on a site are likely to be scooped up first by search engines, therefore each page and piece of content on your website should have a relevant title or heading. In addition, your keywords should also appear frequently, yet organically, in your body copy. Be careful though: you don’t want to cram keywords into your site haphazardly. Keyword stuffing is an SEO no no, and it could damage your SEO efforts if you’re caught. A keyword placed in a meta tag, page description, or URL is worth more than several of the same keyword mentioned in the body text. Google isn’t just searching for words, but rather the meaning behind those words. Which means search engines may place heavier emphasis on these points than a paragraph in a blog post. We showed you how to leverage meta tags in a previous post. Meta tag information doesn’t appear on your client’s website, but rather inside each page’s code. Including relevant keywords in these descriptions lets search engines know what the page is about, which makes your website’s purpose more obvious up front. While keywords within website content aren’t as powerful as the ones in heading and meta tags, it’s still important to include these keywords anywhere that seems relevant and reads organically. You can use internal links to link content to other content within your site, as well as build external links. In addition, link building using keywords can significantly impact your web page’s SEO. You can use internal links to link content to other content within your site to give yourself a boost. Or, you can build external links through guest blogging to give your content more credibility. Open graph gives you more control over your social media posts by allowing you to customize the title, picture, and description. And while open graph tags don’t have a significant impact on SEO in the traditional sense, search engines can use open graph data to learn what the page is about. This article shows you how to access and customize your open graph properties. Your sitemap is similar to your site structure in that it represents the outline of your website hierarchy. The main difference lies in that the sitemap exists in the digital world and can be recognized by search engine bots and users alike. Sitemaps are usually organized in a hierarchy that shows the relationship between the various pages on your website. This short guide to sitemaps offers a few tips and tricks on the planning and creating phases. There’s no better way to leverage SEO capabilities than from the search engine giant itself. Google offers a variety of quality free SEO tools to help you give your website the optimized boost it needs. If SEO still sounds like Klingon, there are experts who have made it their life’s work to understand SEO and help you leverage its abilities. SEO isn’t just a good idea, it’s becoming necessary if you want your client’s website to be successful. If you don’t understand how to employ SEO techniques, make sure you partner with someone who does. If you already have a website and are more interested in on-page SEO audits. You might be interested in the article "How to do On-Page SEO audits The Right Way" on the ZipBoard blog. Happy Reading!